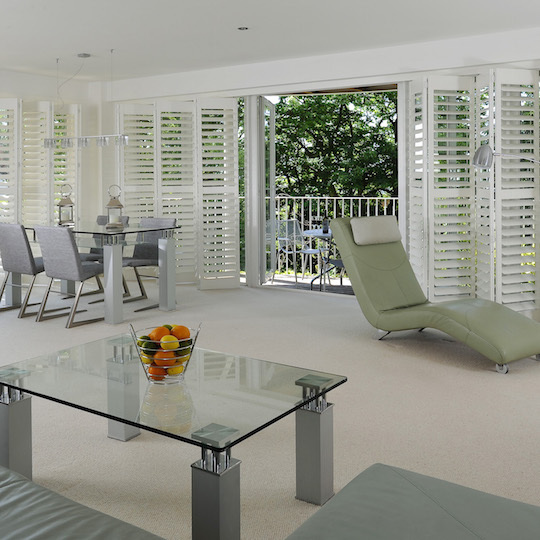 Window Shutters Oxfordshire from Just Shutters, your local shutter experts. Trust us for value, quality and service – 01235 424282. 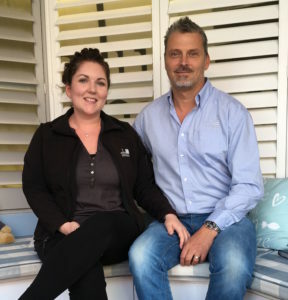 Just Shutters are the experts in beautiful designer interior shutters; husband and wife duo James and Charlotte Chenery (pictured right) combine their passion for shutters with exceptional customer service. We then wrap these up with a lifetime guarantee; giving you service, value and the perfect Plantation Shutters. We have the widest range of materials and finishes in the UK giving you the very best choice. We will advise you on the best options for your home depending on the room, the heat and humidity, the use of the shutters and of course your décor and personal preferences. Whether you have a picture perfect cottage, a modern apartment or traditional townhouse, we have the perfect solution for you, with over 7000 happy customers, we have designed and fitted shutters in every style of home including listed buildings, commercial properties and even a 50ft atrium. Please feel free to challenge us! -Are energy efficient. As a result, utility bills are reduced! All our shutters are made from the very best quality materials expertly fitted. Furthermore, they come with our lifetime guarantee. We would be delighted to tell you more about what we can do for you and your property, please give us a call on 01235 424282.